All the time I was growing up, whenever anyone would talk about ‘famous illustrators’, there really was only one name that would pop up. Norman Rockwell was the one illustrator that most people could name, and I can’t remember a time when I didn’t know of his work. 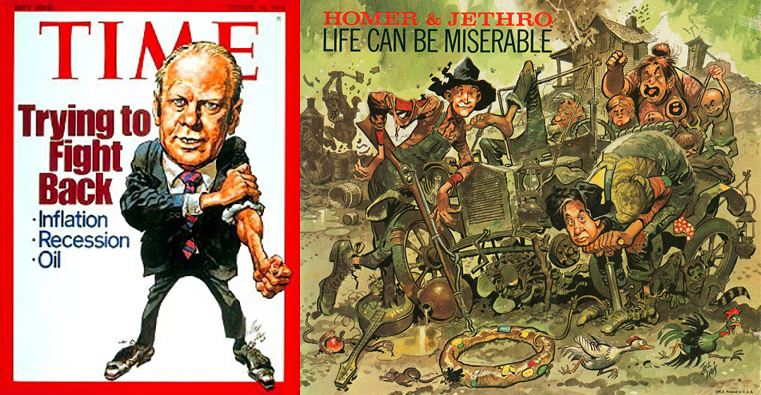 I’d seen his artwork on back issues of the Saturday Evening Post, framed prints, reprinted on phone book covers, you really had to have lived a hermetic lifestyle to have avoided seeing Norman Rockwell’s art at some point. I was introduced to his ‘collected work’ by an artistic friend of mine when I was still in grade school, and I marveled at the attention to detail, but by the time I got to college, his work had generally fallen out of favor, and thought of as ‘old fashioned’ and ‘cliche-ridden’ and portraying a bygone America that may well have never actually existed. I have, however, always remained a huge fan of his work, and there are several of his pieces which I still find absolutely stunning in their beauty and composition. I had the good fortune of attending a showing of his original art in Nashville a few years back (would have been around 2015 or so), and once again found myself just awed by his masterful brushwork and attention to detail. The piece below of the boys at the ‘old swimming hole’ was one of the originals I got to see, and I swear I must’ve stood staring at the wet hair on the central boy for a good 15 minutes. Long before I even knew what an ‘illustrator’ was, or before I would eventually become one of its ranks, Norman Rockwell was, and will always be the gold standard. Another of my early influences were the newspaper comics. However, by the time I was reading them, which would have been somewhere between 8 and 10 years old (1970-72), the newspaper comic strip was well past its prime. The size allotted for daily strips had shrunk to nearly half the size that they once inhabited, and the the sunday strips were a mere shadow of their once glorious past. I discovered older comic strips in ‘nostalgia magazines’ and in comic strip collections in the library, and marveled over the artwork that made the daily paper I was reading look pale in comparison. My first love, as far as newspaper comics went, was, of course, Peanuts by Charles Shultz. I tended to gravitate towards the earlier strips from around the late fifties and early sixties that were collected in paperback anthologies, rather than the current crop that appeared in the daily paper at the time. Snoopy had just begun his elaborate fantasy life, and, in effect, had hijacked the strip from the Charlie Brown/Lucy/Linus crowd (who I found much more interesting, with their discussions of topics like depression and loneliness and angst). However, from an illustration standpoint, the Peanuts world was less than fascinating. A product of its times, and perfectly fitted towards the shrinking available space, with its simple iconic characters and minimal detail. I had some other favorite strips that I found less interesting to read, but more intriguing to look at for their drawing skills. Alley Oop was one that appeared in our local newspaper that really captured my imagination (and my fascination with dinosaurs didn’t hurt). Another strip from our local paper that frequently inspired me was Prince Valiant. Usually only one or two panels and confined to the Sunday paper, but oh what beautiful artwork. Eventually, through my reading on comics history in the library, I discovered Krazy Kat and the world of George Herriman. I was enthralled by his endless variations on the simple theme of a brick throwing mouse and the love triangle between Ignatz the mouse, Officer Pupp and Krazy Kat (who could either be a girl or boy depending on the daily whim of the cartoonist), and the crazy shifting backgrounds, and the wonderful wordplay and panel design. I don’t think any cartoonist has come close to Herriman in terms of creating ‘art’ out of the daily comic strip. Of course these strips were all WAY before my time, and even today they seem more innovative and original than anything that has been created since. The daily newspaper comic has greatly diminished in the passing years to the point where I rarely, if ever, bother reading the sunday comics section. A few other great strips, however, demand an honorable mention; Pogo by Walt Kelly, Bloom County by Berkely Breathed, Calvin and Hobbes by Bill Watterson, Cul De Sac and Richard’s Poor Almanac by Richard Thompson and Mutts by Patrick McDonnell. 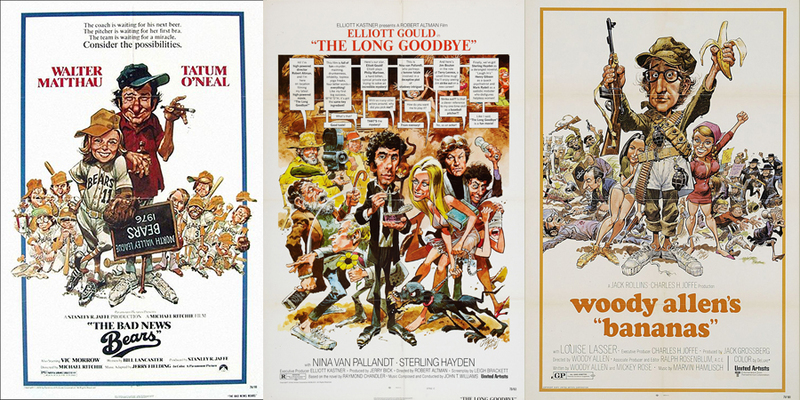 If I had to narrow down my influences to a single individual, it would have to be Mort Drucker. 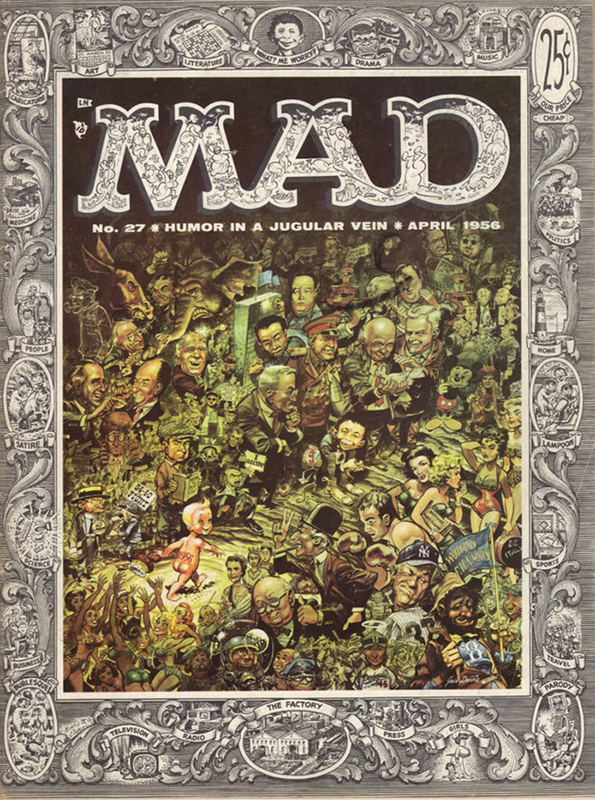 While there were several artists who worked for Mad Magazine that caught my eye, from Jack Davis, Will Elder, Wally Wood, to even Don Martin, but none could hold a candle, to my eyes, to the wonderful caricature work of Mad’s premiere Movie Satirist. I still marvel, today, at how he was able to create such beautiful work within the constraints of those unwieldily speech balloon labyrinths, mixing high and lowbrow comics stylings, the attention to detail to crowded scenes, the folds in clothing, the structure of hands and feet, and the balance between blacks, grey and white spaces. I learned to draw by pouring over these movie spoofs, over and over again. They still inspire to this very day. I had the good fortune recently (writing this in 2018) to see an art exhibit of original Mad Magazine illustrations, and I of course was most excited about seeing Mort Drucker’s work in person. I was struck by his ‘grey tone’ techniques, sometimes using watercolor washes, sometimes zip-a-tone screens and sometimes laying white paint directly on the screens to achieve highlights. But it was the line work which has always impressed me. Those little squiggles for shading that my college art professors tried in vain to get me to abandon (still use them).